In search of more puzzles? 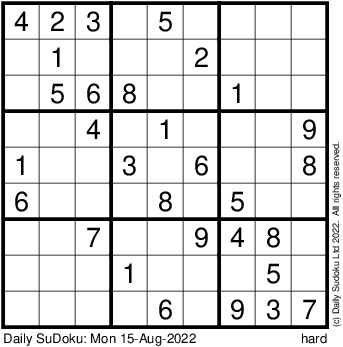 Choose one of the sudoku puzzles we provide here. THere are many other websites on the web that offer puzzles, here are some interesting sites. Every 2 weeks a new puzzle here.